I’m the king of putting as much trash in a single bag as I possibly can, right until the point that the bag is giving out. That’s because I loathe taking the trash out. I often use some paper towels to compress my trash, but I could use something less disgusting to push the trash down. 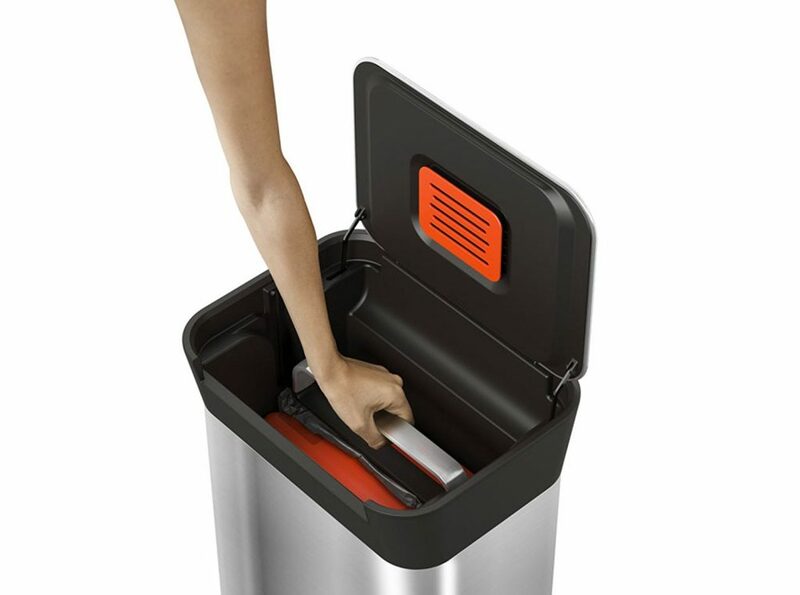 This trash can by Joseph Joseph has a built-in trash compressor so that you can save yourself from taking the trash out too many times. Plus, you’ll keep your hands (or feet) clean while pushing your trash down the bin. The Titan Trash Compactor by Joseph Joseph is a hygienic system to compress your trash multiple times. You’re able to fit three times the trash as you can normally fit in your regular trash can. The Titan also features an anti-tear design so you won’t tear open your trash bags when taking them out. The lid of this trash can features an integrated odor fliter to prevent nasty smells from escaping the extra amount of trash you can now store. The Titan sports an elegant steel look in your kitchen and can be opened with a foot pedal. The Joseph Joseph Titan Trash Compactor is ideal if you want to save on trash bags / liners or if you’re like me and you dislike taking the trash out all the time. The Titan will fit a modern looking kitchen with its minimal steel design. You can buy this trash can on Amazon via the link below.